At Three D Wellness we get to know you as an individual. 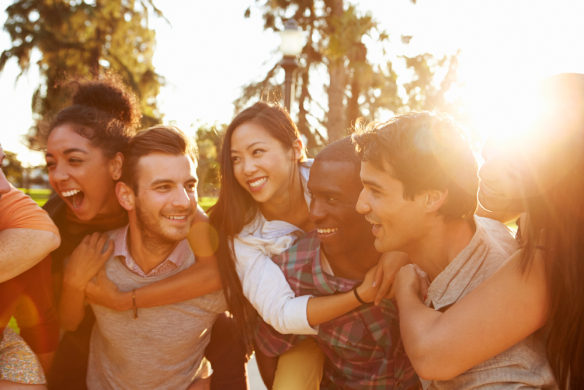 This allows us to treat you for you, not in a group of other like conditions. We believe in getting you to your optimum health through focusing on your mind state, your physical health and your spiritual well being. We provide a next level experience of personalized holistic health care. Where your health and well being are as important as curing disease. 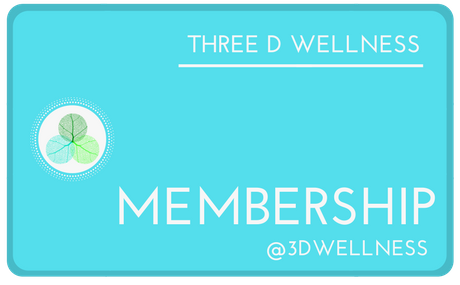 If you need to visit Three D Wellness more than twice a year, consider taking advantage of one of our Membership plans! Our plans were developed with you in mind. All of the same services, just rolled up into packages that are financially accessible. Membership still provides you with a 360 assessment of your health from Dr. Curtis and her team, access to cutting edge testing that identifies problems early, and have more vitality without unnecessary medications. We focus on providing a “personal holistic health tailored just for you” experience. We understand the whole body is connected! You cannot treat one system and ignore the whole. Talk to our staff today about how a Membership plan may be a better option for your needs. Laboratory test costs. Most lab tests are fully or partially covered by your health insurance plan. Some may not be covered or may require a co-pay. All planned testing will be discussed and potential out of pocket costs will be disclosed and agreed upon prior to any testing. The cost of medications whether prescribed or over the counter. The cost of services provided by doctors or healthcare providers other than Three D Wellness practitioners, such as, specialists. Functional Medicine office visits. Office visits consist of an initial 75-minute comprehensive visit where a thorough medical and personal history will be taken. A physical examination will be performed including a complete body composition analysis. Follow-up visits to be used at your discretion throughout the year. 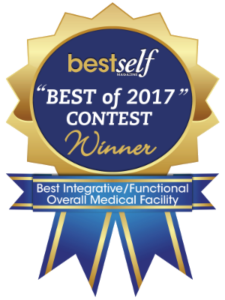 A comprehensive functional medicine healthcare plan, providing specific recommendations regarding testing, nutrition, exercise, stress, sleep and supplements and prescription medications if needed. Prescribing, monitoring and processing refills for all prescription medications recommended by this practice. Health coaching for questions, concerns or encouragement. Mind and Spirit services which include: Reflexology, Reiki or Aromatherapy. Email contact for minor issues or questions. Discounts on professional grade supplements via a convenient online dispensary. A secure online patient portal where you can view and download all test results and treatment recommendations and even schedule appointments at your convenience. Convenient monthly billing to your credit card on file eliminating the hassle of having to pay each time you come for a visit. There is a 24-hour cancellation policy for all appointments with anyone at Three D Wellness. Canceling within 24-hours will result in a $50 charge to the credit card on file. No-shows: If you do not show up to a phone or in person appointment without notifying the specific person you have an appointment, you will be charged $100 to the card on file. We do not accept any form of insurance for Membership. Lab Testing is outside of the Membership and is described in detail in the “Lab Testing” section. The cost of any services provided by 3DW, which are not included in the membership fee, will be billed to you directly. Three D Wellness will not submit a medical claim to insurance on your behalf. We cannot assist you with claim resolution for our services. Most lab tests ordered by a 3DW physician will be billed directly to your insurance by the lab. Some lab tests we offer as part of our functional medicine testing program may not be covered by insurance and in these cases you will be charged a fee for a particular test by the lab or through Three D Wellness. The specific tests ordered will be personalized to you based on your initial evaluation with a 3DW doctor and may include blood saliva urine or stool testing. Should any lab results indicate you may need further testing you will be directed to continue your care with your primary care physician or a relevant specialist, or should you choose you may continue to work with your 3DW physician. At home test kits: If a lab test kit is mailed to you by 3DW, you will be charged the day the kit is mailed. This is not included in your membership fee. Specimens: As a member you are not charged anything to have your lab specimen collected by our nursing staff at the Three D Wellness office. You may also elect to have your specimen collected at a local collection center of your choice such as a LabCorp facility, in which case we will provide you with the documentation you need via the patient portal. If your particular insurance company only pays for blood work done at a particular lab facility like LabCorp, you must inform us of this in advance of having blood work done. Add physician visits for an additional fee of $250 per visit. Support services, such as Health Coaching, Reflexology, etc. will be priced separately. Members have email contact with their 3DW provider team through the patient portal. However, if an email question or request is deemed by one of 3DW’s staff to be too complicated or involved (e.g., taking more than 10 minutes) for a response via email they may, at their discretion, require that the member schedule a phone or in person visit instead of responding via email. Your membership starts the day you register. You have 12 months to use your membership. After that time, you will have the option to renew your membership. If you have not used all your visits within a year they do not roll over. You are charged your first month of Membership the day you register and every month, for 12 months total. You have 14 days from the day you register to change your mind and receive a full refund, provided you have NOT yet had your initial visit. If you have already had your initial visit and are dissatisfied for any reason and it’s within 30 days of your initial registration date, you may cancel your membership, with a cancellation fee of $350. Your initial membership registration payment will be deducted from the $350 cancellation fee and the balance will be collected from the card on file. Once you have had your second visit or your membership has been active for more than 30 days, the membership is non-refundable. Temporary interruptions in the availability of or access to 3DW’s services due to circumstances outside of 3DW’s control will not create a right to cancel your membership or request a refund/credit. Our recommended Hotel near our office. At 3DW we offer functional medicine. While we may offer many services that are similar to those provided by a primary care physician, we do not fulfill an insurance company’s requirement that you select a primary care physician in your network, as we do not participate with any insurance carriers. We also require that you have a primary care physician of record as we do not handle medical or mental health emergencies. If you need to see an OBGYN, a surgeon, or a cardiologist, for example, you will be referred appropriately. The costs associated with the services provided by specialists or any other healthcare provider outside of 3DW are not covered by your 3DW membership. Our availability is during normal working hours and your ability to reach us or access our services at any given time may be limited. If you require urgent care you should immediately call 911 or contact an emergency care provider such as a local hospital or emergency room. The costs associated with emergency care services are not covered by your 3DW membership.